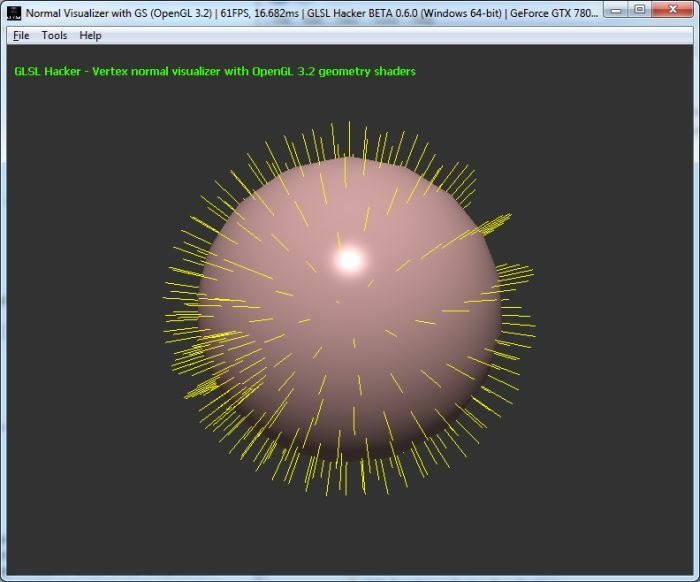 Today, we’re going to see a simple but really useful application of geometry shaders: a normal visualizer. I already talked about GLSL geometry shaders HERE and HERE. A geometry shader allows to create new geometry (a vertex, a line or a polygon) on the fly. 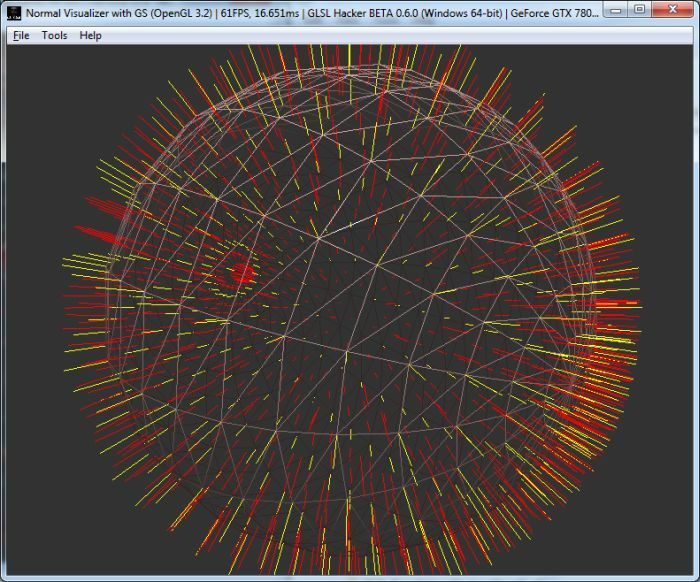 We will use this feature to generate lines for visualizing the normals of both vertices and faces of a triangular mesh. The demos of this article have been coded with GLSL Hacker and you can find all source codes in the Code Sample Pack under the GLSL_Geometry_Shader_Normal_Visualizer/ folder. You can download GLSL Hacker from this page (I recommend to grab the latest DEV version). As usual, the GLSL programs are not specific to GLSL Hacker. You can use them in any OpenGL/WebGL application with minor changes only (shader inputs). Where i is the vertex index (0 to 2 because the input of the geometry shader is a triangle), Pi and Ni are the position and the normal of the i-th vertex. 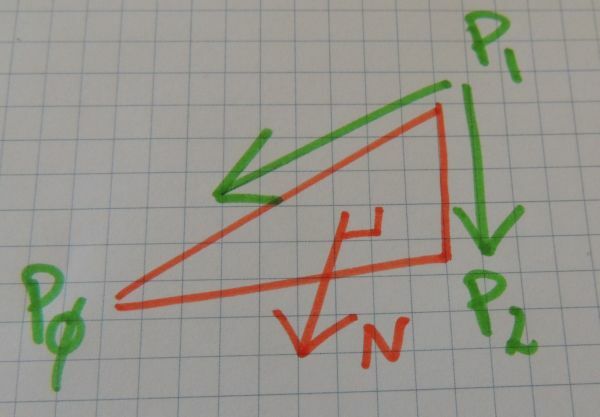 V0 and V1 are the vertices of the new line. This is a simple pass-trough vertex shader. No transformation here, vertices will be transformed for final display in the geometry shader. We have now all the theory we need to code the face normal visualizer. Here is the code of the geometry shader alone because compared to the previous GLSL program, only the geometry shader is updated. This geometry shader generates 3 lines for the vertex normals (in yellow) and one line for the face normal (in red): 4 lines or 8 vertices.